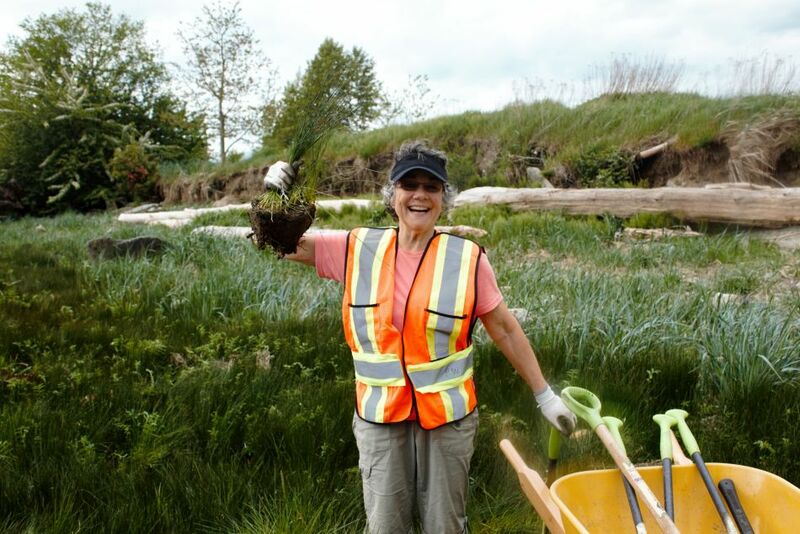 This spring and summer Project Watershed and some very dedicated and hardworking volunteers have been busy planting saltmarsh around the Courtenay Airpark and Royston Wrecks (check out the photos and time-lapse photography of the plantings in this article). These saltmarsh areas were created by Project Watershed in order to help restore saltmarsh habitat that has been lost in the estuary due to human impacts. We managed to plant over 6,000 native plants, both nursery stock as well as donor plants which were harvested from healthy local populations. 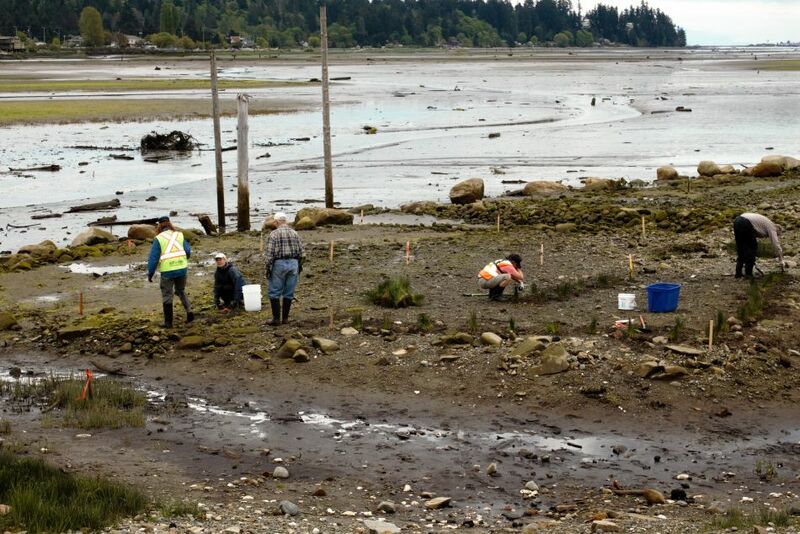 Two gravel islands in the estuary just south of the Courtenay River Airpark lagoon outlet were planted along with a section of the north end of the lagoon beneath the viewing platform. The work at the Royston site added to the planting from last year; and is located on the beach just north of the Hilton Road parking lot. Saltmarsh refers to a complex of many salt tolerant plants that grow together along the shoreline of coasts and estuaries. Saltmarshes provide habitat, food, and refuge for fish and other marine species. 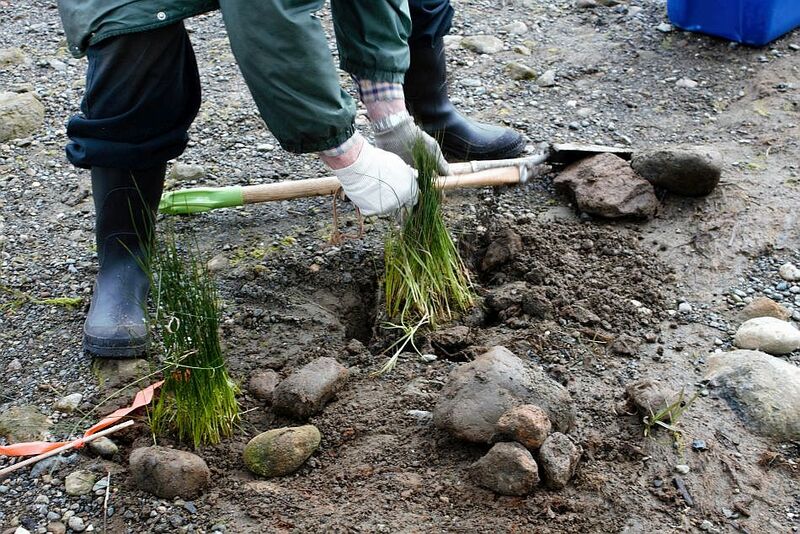 They also help to stabilize the shoreline and sequester carbon thereby helping to mitigate some of the impacts of climate change. 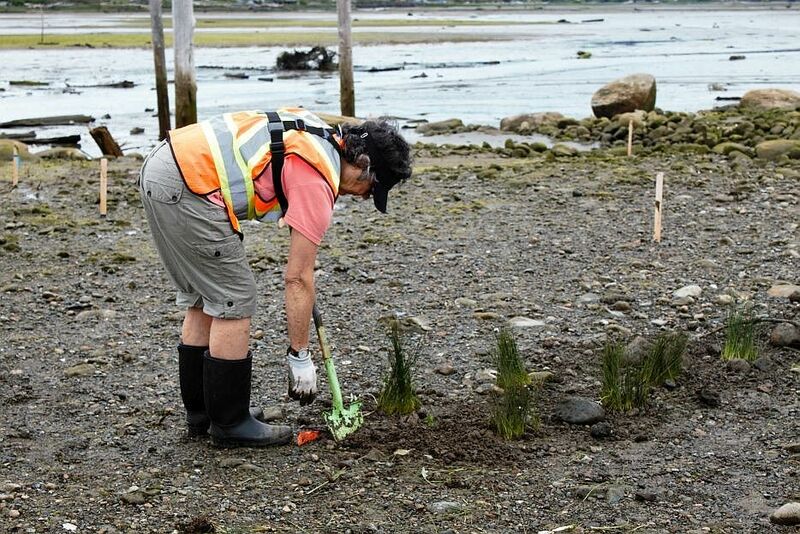 Our K’ómoks Estuary (and most estuaries in BC) used to have an abundance of saltmarsh along its shores but much of that habitat has be degraded or destroyed. 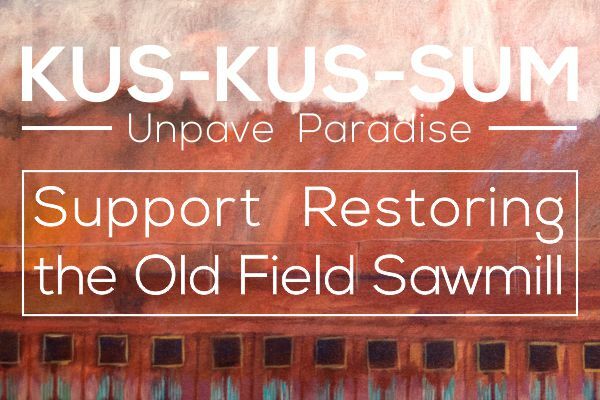 In some places such as the Fraser River Estuary it is estimated that 99% of the salt marsh habitat has been destroyed. 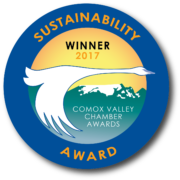 With more salt marsh initiatives and dedicated volunteers Project Watershed hopes restore much of the saltmarsh habitat in the K’ómoks Estuary to bring back the historic abundance that is the namesake of the Comox Valley.